The Joint Admission and Matriculation Board, JAMB, has fixed minimum cut off marks for Nigeria’s tertiary institutions. The minimum cut off marks for admissions into universities in Nigeria was set for 120, polytechnics and colleges of education pegged at 100, while that of innovative enterprising institutes was pegged at 110. Institutions are, however, at liberty to raise their cut off marks for admission above the minimum set by JAMB. Also, admissions into public degree awarding institutions for the 2017 UTME examination will end on January 15, 2018 while for private institutions, it ends on January 31, 2018. Also, decisions on first choice candidates by universities will end on October 15, and second choice candidates will end on December 15; after which the remaining students will be available in the market place for other institutions till the January closing dates. These decisions were taken at the 2017 Combined Policy Meetings on Admissions into Tertiary Institutions in Nigeria which ended on Tuesday. The Registrar of JAMB, Ishaq Oloyede, said a Central Admission Processing System, CAPS, will be used to streamline admission processes among institutions, as it addresses challenges associated with the former approach. Mr. Oloyede also said that Institutions could conduct dual mode system which involves both manual and the newly introduced CAPS. He advocated a dynamic educational policy as related to admissions. He said candidates’ applications to study agriculture was very low while applications to study medicine and health sciences increased. Speaking on illegal admissions, he said the process is now automated because the Registrar of JAMB must approve all candidates. 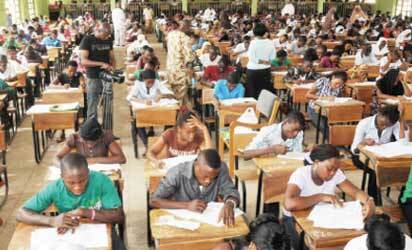 “About 17,160 students were admitted without JAMB across institutions in Nigeria,” he said. The Minister of Education, Adamu Adamu, also formerly announced a lift of the ban on the conduct of Post-UTME examination as a prerequisite for admission into tertiary institutions. “Cancellation of Post- UTME is a mistake,” he said. He noted that banning of post-UTME led to a lot of irregularities by candidates and some institutions. The minister explained that with the lifting of the ban on the conduct of the examination, institutions are now at liberty to conduct, while adding that fee for the examination should not exceed N2000. He explained that the 2016 admission process was a huge success, while expressing optimism that government is working assiduously to make that of 2017 better. Mr. Adamu noted that government is also making efforts to expand access and ensure equality in the education sector. He expressed optimism that a substantial number of candidates who sat for the 2017 UTME would gain admission into tertiary institution. “Over 1.6 million candidates applied for degree courses, over 17,000 for ND as well as NCE,” he said.